Monday finds me, yet again, trying to catch up with my own life. Not particularly successfully either. It has been nearly a month since I've found the time to blog. I've barely managed to keep up with reading what all of you have written. But I have. At least I have that going for me. September saw the opening day of our shop at the Black Rose in Allentown. I was filled with excitement and couldn't wait to blog about it, but working on the projects, flea-marketing, researching, pricing, inventory list making, paperwork, and restocking that will hopefully make this little shop successful has stolen any time I might have otherwise spent blogging. Now I'd like to tell you sales are going great and we are so excited about this business venture. Except they aren't. We've had sales - a lot of the "smalls" that we bought just to fill up the shop. 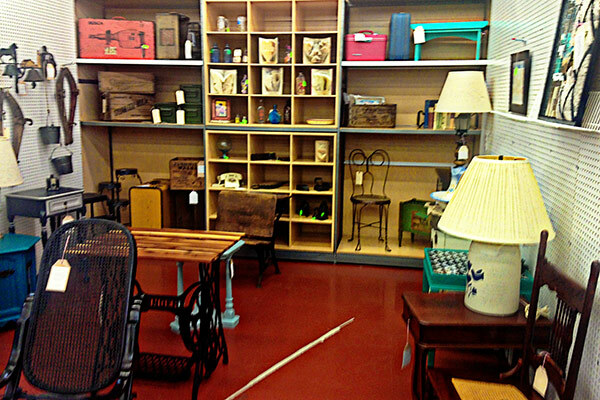 But not a single piece of the furniture that has been so lovingly restored or upcycled has sold. It's been a month. Our prices are very reasonable. But there it all sits. It's disheartening to say the least. I suppose the good news is that we have finally had our first real cold snap. Fall is upon us, the leaves are turning, and Flea marketing season is pretty much over. Which means more time home on the weekends. And hopefully it means the flea market shoppers will now be looking indoors? 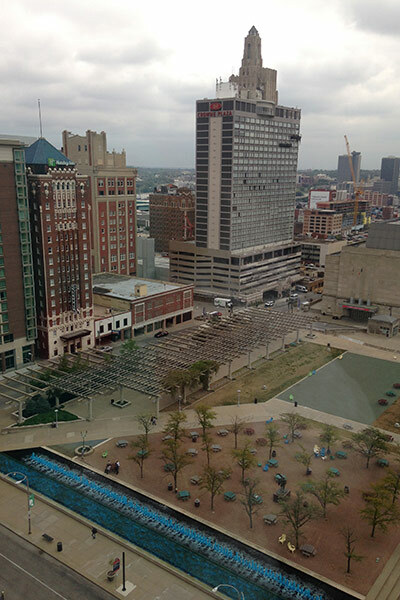 Early October saw me traveling to Kansas City, MO for a work conference. Only a four day trip, but it takes three days on the front end to prepare and a solid week on the back end to catch up! I came home to 175 blog posts to read (I did). But obviously, work travel has sucked up my blogging time. I've also been struggling with neck pain radiating down my left arm. Last week I saw my rheumatologist and got a diagnosis of osteoarthritis in my cervical spine. So today I start PT. But I couldn't just do that the easy way. Instead, on my way out the door to go to my PT eval last Friday, I fell on my own sidewalk. Skinned both knees and both hands and got some painful bruises at the base of both thumbs. Adding insult to injury, I felt like a total drama queen when my neighbor came running over to see if I was okay and I was laying on my sidewalk sobbing. Little kids get skinned hands & knees every day of the week and it is no big deal. So why does it hurt so much when we are old??? No worries, I'm fine. My ego may be more bruised than my hands. 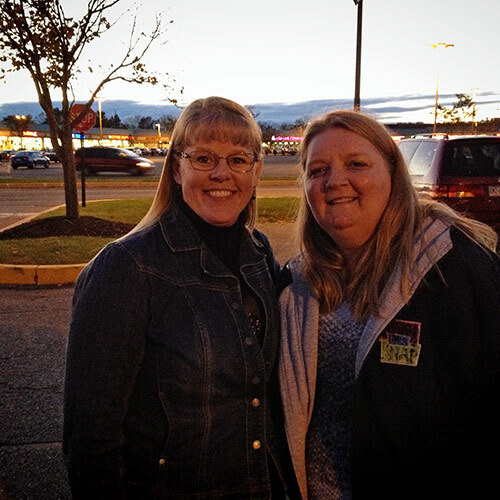 The highlight of my weekend was a meet-up with Melissa on Saturday. After lunch at Perkins, and a tour of the Black Rose, and shopping for a new black blazer for me, we met up with the rest of Melissa's group and went to see "The Martian" at the theater. Great day! Sunday was laundry, pricing a significant little pile of vintage linens, and starting another folded art book. And here I am today, back from PT and trying, yet again, to catch up and pre-prepare for more business travel. Off to Baltimore on Thursday. I'm actually looking forward to Winter just so I can stay home more! Not really. I hate being cold. But I do want to stay home more. Waving to Sian and all the Monday wavers! Sorry I haven't been around in awhile to say hello! Sorry to hear things have been difficult Cheri, sometimes life feels like walking through treacle. I hope you can find pain management and that get treatment you need. I was interested to hear about your shop, how disappointing that no furniture has been sold. Hopefully as word spreads peoples will start to come. Wishing you good luck with your venture. So happy to "see" you! Your shop looks lovely, and I'm thinking business will pick up before the holidays! So sorry to hear about the arthritis. It can be so painful; hopefully the PT will help! I'm always happy to see two blogging friends meeting up, and lucky me, I met both of you in the last year! Take good care of yourself! Sorry to hear about those icky happenings Cheri. Things will get better. Just take everything day by day. That's all I could say. I wish I lived in PA. I would make a special trip to Allentown just to visit your shop and check out your restored furniture. Unfortunately I live in the most embarrassing state......Illinois. ICK! Keeping you in my prayers and thoughts! Good luck with the PT and sending good thoughts for shoppers flocking to your store. I'd love to meet you and Melissa. . . maybe someday. Well that all stinks. Here's hoping it is all just a little dip on the way up! You've opened a shop? That's fantastic! I'm keeping my fingers crossed that the turn in the weather will bring lots of customers your way. I know as soon as the nights draw in here I start making the place look cosy and I've been moving furniture around here..I'd be round like a shot to see if you had any new pieces for me. I do hope the shop sees a few more paying customers very soon. Sorry to hear you have been in the wars and you're right, we don't bounce back like kids do nowadays! Hope the physio helps. So glad we got to meet up again & I especially enjoyed seeing your shop! I do hope sales will pick up soon - all your pieces are lovely and the booth looks fantastic. Great catch up post today, although I'm thrilled that I got to hear all this in person! Hope the skinned hands are healing quickly & that therapy goes well! So sorry to read about your fall and the arthritis :(. That sounds miserable (and I'd have sobbed too with the shock). I do hope your neignbourhood and area start noticing such a pretty shop - perhaps as it gets closer to Christmas, sales will pick up. Lovely to see you posting again - given all that work on so many fronts, it's amazing you managed to read any blogs at all! So impressed with your shop....do hope that sales pick up.